If you use Google Chrome as your browser, you would understand how convenient is our life on the internet when we search for a specific thing and get relevant suggestions. This is all thanks to Google’s attempt to provide the sight suggestions based on what you have browsed and the answer to how it does this is Knowledge Graphs. We enter words in the browser while we search but if the system could understand that the words that we enter to search are not just arrangements of alphabets, but also what their meanings are in the real world, it would provide with better results. In order to address this luxury, Google came up with its Knowledge Graphs in the year 2012, to get the content that every individual wants from the web. 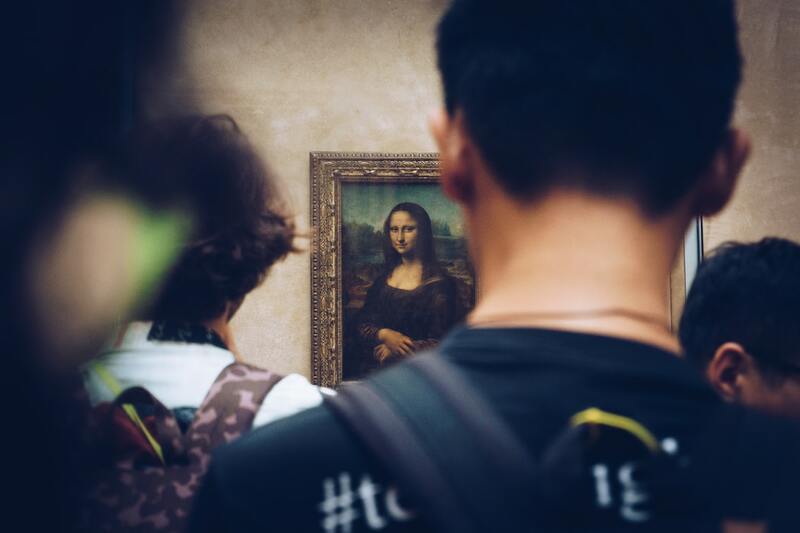 It provided a way to collect information automatically, rather than relying on crowdsourced facts compiled by humans, which is what was done, before Knowledge Graphs. Based on the meta description, title, keywords and content, the meanings of the words that you search for is understood with the help of Knowledge Graphs. The results that follow the search is linked to the intent of the user. According to Google, this information is retrieved from many sources, including the CIA World Factbook, Wikidata, and Wikipedia. In October 2016, Google announced that the Knowledge Graph held over 70 billion facts. 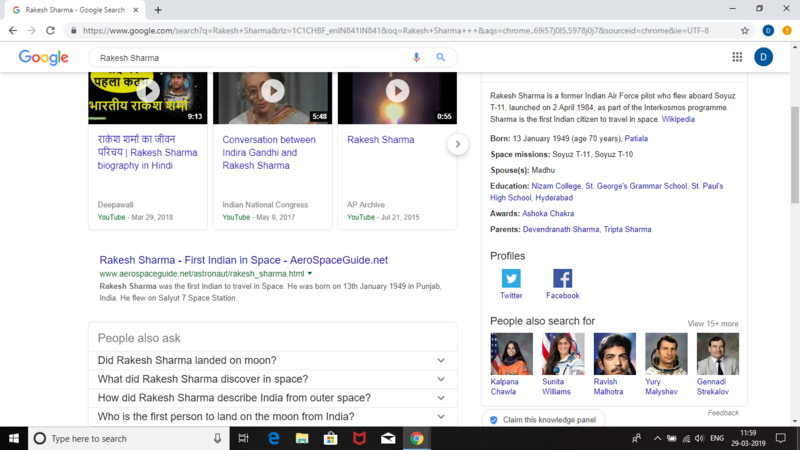 For instance, if you try to search the IAF pilot and Astronaut Rakesh Sharma on the internet, you will see that the Knowledge Graphs, which is a panel next to the web results, show suggestions that you might be interested in. Since he is an Indian and the user entering his name in the search box, you are probably interested in Indian astronauts so the Knowledge Graphs gives you pages like Kalpana Chawla, Sunita Williams and Ravish Malhotra. Knowledge graph is about collecting information about objects in the real world. The object could be a person, a book, a movie, or anything else. Another example would be that a team at Google gave in a video explaining Knowledge Graphs. They said that if we want to know how many women have won the Nobel prize, Google can do a better job at understanding what it is exactly what we are searching for. Others may have come to Google already to search for the same thing. Google can jumpstart the research process combining the information that others found useful with the information in the knowledge graph. Google has its algorithm called the Hummingbird, the name of which they came up within the year 2013. This algorithm forms the major part and it has parts that make for different purposes. An algorithm called RankBrain is one of the parts of this main algorithm. This helps to sort through Google’s search results, browses billions of pages and comes up with the most relevant one. Hummingbird also contains other parts with names familiar to those in the SEO space, such as Panda, Penguin and Payday designed to fight spam, Pigeon designed to improve local results, Top Heavy designed to demote ad-heavy pages, Mobile Friendly designed to reward mobile-friendly pages and Pirate designed to fight copyright infringement. The main challenge with Knowledge Graphs is the amount of data that it needs to be accurate. It is easier to process small amounts of data at a time but for a strong machine learning algorithm to rank or give accurate predictions, more data is required and with more data comes a greater responsibility to deal with it. Knowledge Graphs can be supplemented with necessary context and structure, in order to make the information more readable and transparent. Google is trying to make real-world connections using a knowledge graph. It is used worldwide to create better, personalised content and engage with the target audience. It is increasingly being used by celebrities and entrepreneurs for better engaging with their fans and audiences. These Knowledge Graphs by Google are going to help greatly in improving the AI and ML research. Also Read Does The Popularity Of Containers And Microservices Mean The End Of Hadoop? 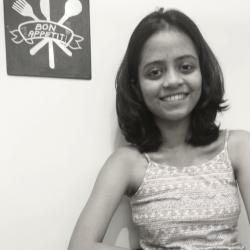 Found a way to Data Science and AI though her fascination for Technology. Likes to read, watch football and has an enourmous amount affection for Astrophysics. Upskilling Vs Onboarding: What Do Companies Prefer For Data Science Roles?